Artist and author James Mayhew – best known for his Ella Bella Ballerina series of children’s books – visited four primary schools around Greater Manchester to produce large murals combining students’ responses to Vivaldi’s The Four Seasons through visual media. This artwork was exhibited around The Stoller Hall throughout its Opening Weekend in April 2017, and many of the young artists came to see their work on display and engage with the many events on offer throughout the weekend. You can read James Mayhew’s blogpost for an insight into the creation of this wonderful project. 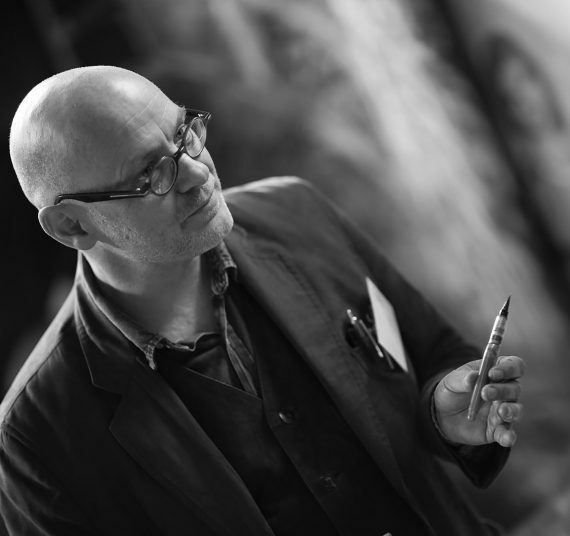 James Mayhew is an illustrator, author, concert presenter and storyteller. His Ella Bella Ballerina books introduce children to great pieces of music and his Katie books introduce children to great works of art. James has an extraordinary knack for bringing music to life through painting, and it is this skill which he used to work with primary schools during this project.